FDA Extends the Compliance Date for Menu Labeling Rule Now What? 4 Min Read	 5.23.2017	 By Anna Wiand, Esq. The U.S. Food and Drug Administration (“FDA”) was slated to begin enforcing its Menu Labeling Rule on May 5, 2017. A last-minute rule filed by the FDA on May 1, 2017, however, further delayed the enforcement date to May 7, 2018. The Affordable Care Act (“ACA”) required the FDA to develop the “Food Labeling; Nutrition Labeling of Standard Menu Items in Restaurants and Similar Retail Food Establishments” rule (“Rule”), which it issued on December 1, 2014. The requirements in the ACA and the Rule apply to retail food establishments with twenty (20) or more locations, which the Rule calls “covered establishments.” The Rule mandates calorie and other nutrition information for standard menu items in these covered establishments, including food on display and self-service food. Menu labeling requirements have traveled a long and windy road, and it appears the journey is far from over. The Rule was initially scheduled to go into effect on December 1st of 2015, but delays by both the FDA and Congress pushed implementation back to May 5, 2017. Relying on what appeared as late as December of 2016 to be a firm compliance date, many covered establishments began to prepare by collecting nutritional information and revising menus. Covered establishments may include a diverse mix of retailer like bakeries, cafeterias, coffee shops, convenience stores, delicatessens, food service facilities and concession stands located within entertainment venues, food service vendors, food takeout or delivery establishments, grocery stores, retail confectionary stores, superstores, quick service restaurants, and table service restaurants. Notably, ownership is not determinative of whether an establishment is considered “covered.” Therefore, the Rule applies to franchisees owning and operating only one establishment if that establishment is part of a chain of 20 or more establishments doing business under the same name and selling substantially the same menu items. Clearly and conspicuously display calorie information for standard items on menus and menu boards, next to the name or price of the item. Provide on the menu or menu board a succinct statement regarding recommended calorie intake. Provide on the menu or menu board a statement regarding the availability of additional written nutritional information. The aforementioned requirements only apply to standard menu items. A standard menu item is a restaurant-type food that is routinely included on a menu or menu board or routinely offered as a self-service food or food on display. The menu labeling requirements typically will not apply to (i) seasonal menu items offered for sale as temporary menu items, (ii) daily specials, or (iii) condiments for general use typically available on a counter or table. Does it list the name of a standard menu item (or an image depicting the standard menu item)? Does it list the price of the standard menu item? Can the writing be used by a customer to make an order selection at the time the customer is viewing the writing? Under these factors, some promotional materials may be deemed a menu. For example, a coupon for pizza delivery stating, “One large pepperoni pizza for $9.99,” that includes a phone number that a consumer could use to order the pizza, may be considered a “menu” and, therefore, must have the calorie information and required statements. The delay in the Rule’s compliance date follows a concerted lobbying effort by retailers, including convenience stores and grocery stores to delay or forego its implementation. On April 5, 2017, the National Association of Convenience Stores and the National Grocers Association petitioned the FDA to stay and reconsider the Menu Labeling Rule. Conversely, many restaurant industry members, including the National Restaurant Association, have supported the Menu Labeling Rule and have expressed the concern about the impact this latest delay may have on restaurants who have already prepared for implementation. (3) criteria for distinguishing between menus and other information presented to the consumer. The comment period began on May 4 and will be open for 60 days. One component of the Rule favored by many covered establishments was the Federal preemption of state and local menu labeling requirements. Given the latest delay, establishments operating in jurisdictions with these types of requirements may still be subject to a patchwork of regulations. Nonetheless, a number of covered establishments have decided to implement the menu labeling programs they developed in anticipation of the FDA’s requirements. Although those requirements may now be subject to change, they remain informative guidance for any establishment seeking to provide additional nutritional information to consumers. Given the Agency’s broad request for comments, it appears FDA is considering amending the Rule or its enforcement guidance. Therefore, the outlook remains unclear for covered establishments. Interested parties should submit comments on the Rule to the FDA and continue to monitor the FDA’s website for updates or new enforcement guidance. 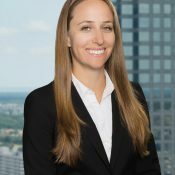 Anna Wiand is an associate in GrayRobinson’s Tampa office and a member of the firm’s Nationwide Alcohol Beverage & Food Law Department. She focuses her practice on matters relating to regulated products, including laws governing the alcohol beverage, food, cosmetics, cannabis, and tobacco industries.